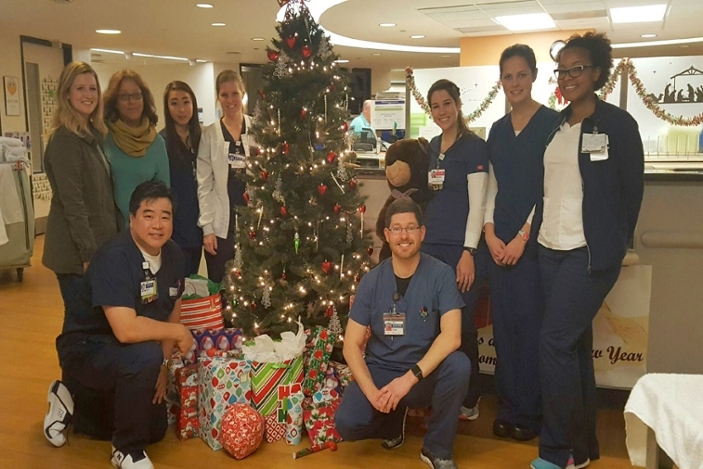 Although Emory Saint Joseph's Hospital patient Coleman Mahoney lost his battle with heart failure four months ago, his family was still in the minds of many staff members this holiday season. 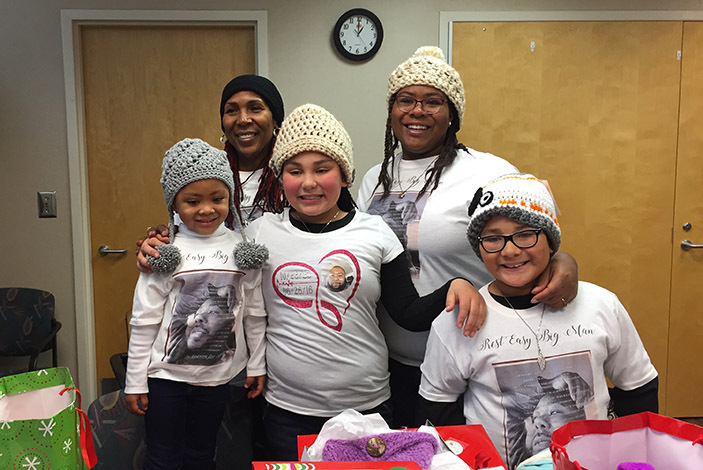 A few days before Christmas, Mahoney's family, including his mother, sister and three children, arrived at the hospital for an emotional visit with caregivers and an unexpected surprise: a conference room filled with wrapped presents that included toys, clothing, electronics, games and more from the staff of the cardiovascular intensive care unit (CVICU), and the coronary intensive care unit (CICU). 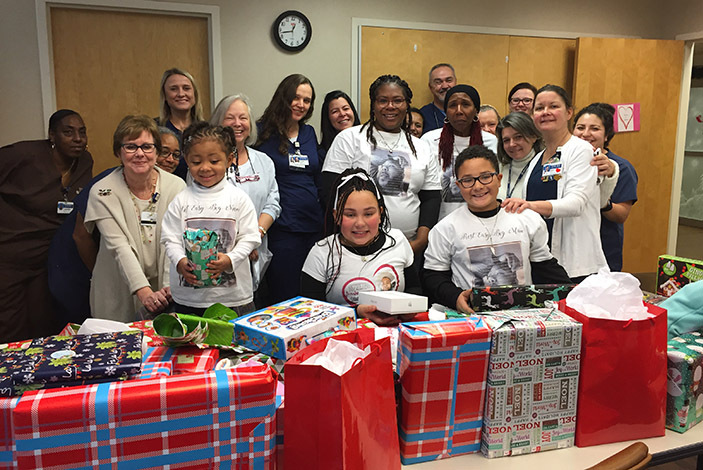 The Mahoneys were just one of the 68 families adopted by Emory Saint Joseph's, Emory John's Creek Hospital and Mercy Care this year for the hospital's Christmas Giving Project. 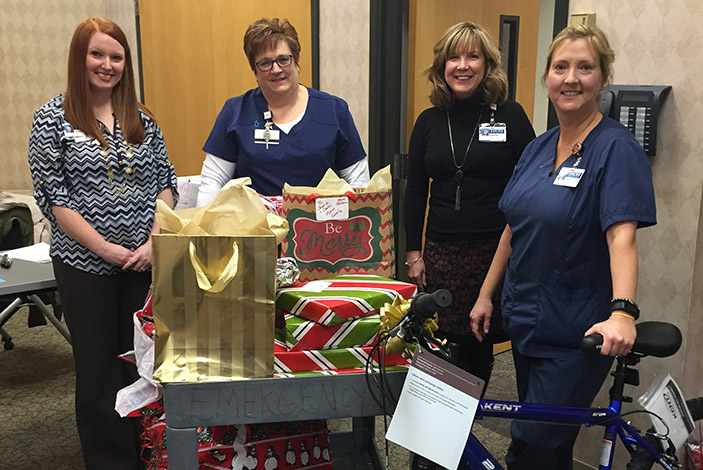 Employees donated $33,650 in gifts including toys, laptops, games, gift cards, TVs, clothing, bedding and more. 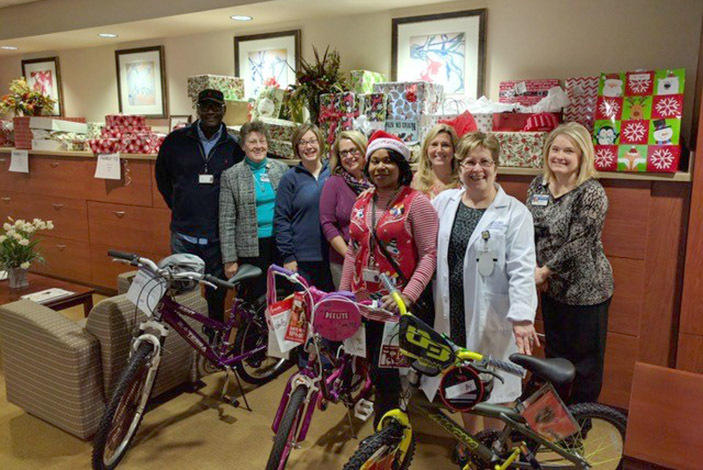 According to Scott Mathewson, Emory Saint Joseph's manager of Non-Invasive Cardiology and Cardiology IT, the project supports families experiencing financial hardship. "The vast majority come from Mercy Care, but others are either patients, patients' families or employees and their families, all of whom are nominated by hospital staff." 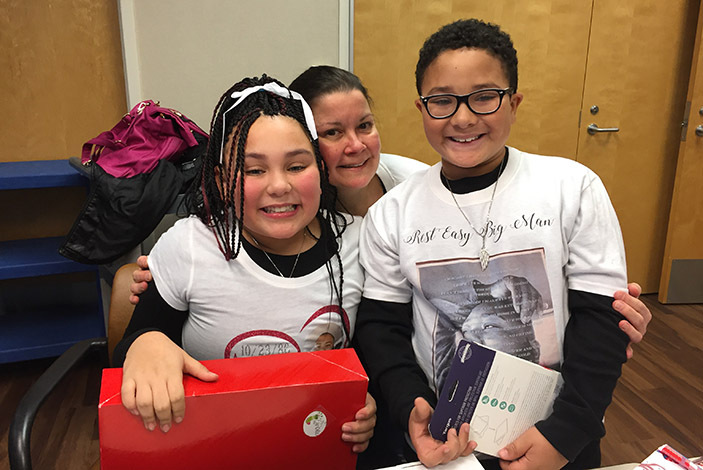 Each family completes a "wish list" of items, and after individual hospital departments "adopt" a family, employees then sign up to purchase gifts. 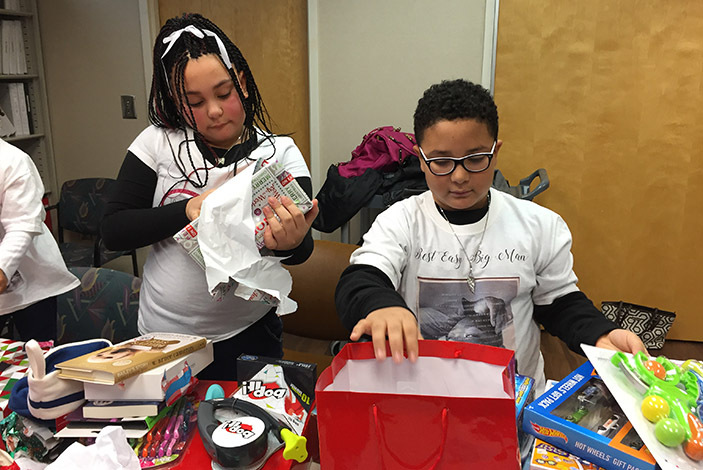 "For more than 20 years, our employees have supported many families with their heartfelt donations and contributions to the Christmas Giving Project. This project truly embodies our Mercy Mission and values, which are caring for the poor, vulnerable and those needing assistance. 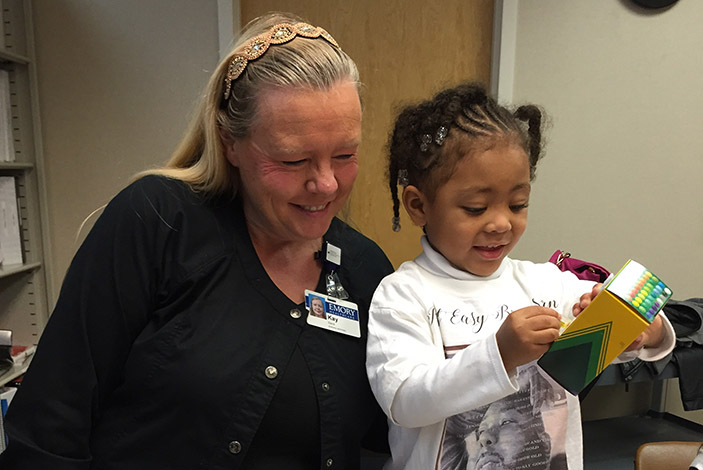 While our employees demonstrate the Mercy Mission every day in their work at the hospital, this is just another example of their incredible acts of kindness by continuing the Mission in the community," says Heather Dexter, CEO of Emory Saint Joseph's. 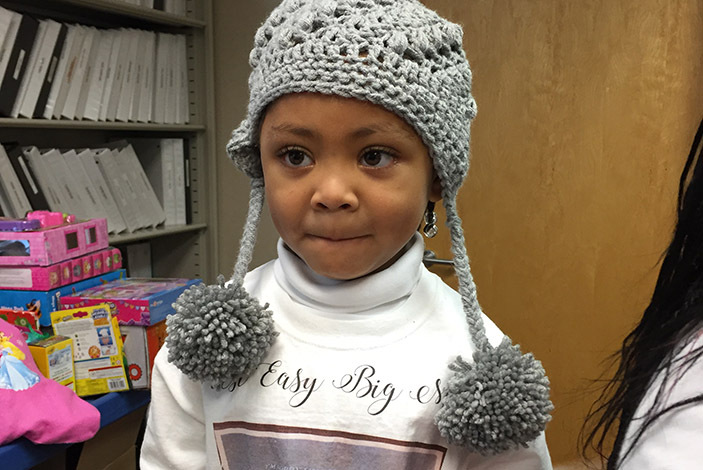 In addition to Emory Saint Joseph's Christmas Giving Project, the hospital also supported those in need with a donation of 366 coats and warm weather apparel that were distributed during Mercy Care's Memorial Service held in remembrance of those who died on the streets of Atlanta during the past year. 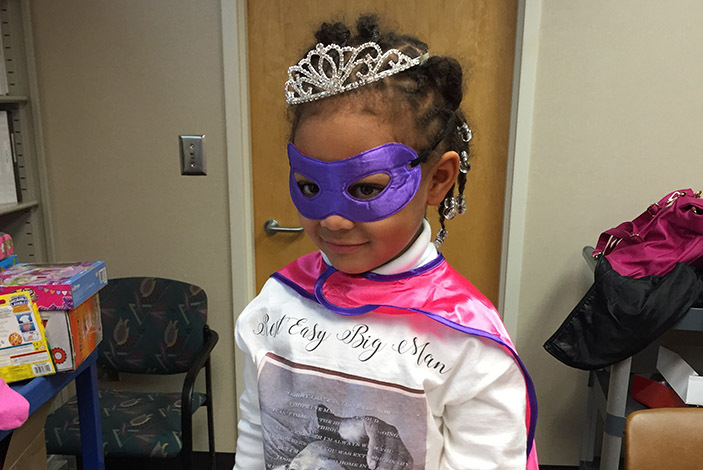 Mercy Care is a non-profit organization providing primary medical care for the homeless and underserved. Mercy Care was founded after teams of Saint Joseph's doctors, nurses and staff began providing medical care on the streets, in homeless shelters and in soup kitchens.